Chance the Rapper went to twitter to share his thoughts on the world and apparently, he’s not exactly sure what’s going on. Chance isn’t exactly buying into the fact that the world is as old as (science says) it is. But the fun doesn’t stop there. He’s not denying the world is old, but he believes it’s only been around about a million years. Don’t worry, there’s more. 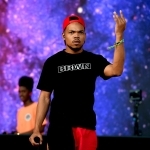 At this point I think I may be more confused than Chance.